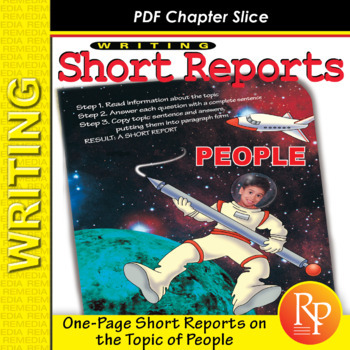 This unit provides an introduction to writing short reports. 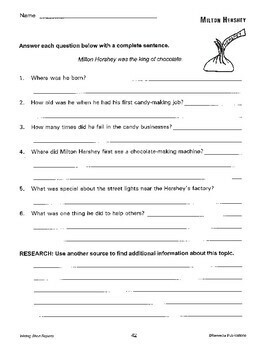 Students read a one-page story and and answer questions designed to extract information from the story. The questions are structured in logical sequence. 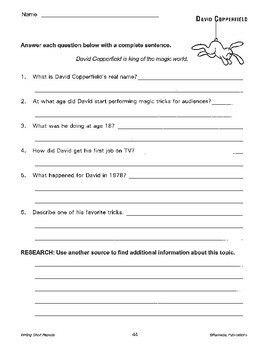 After students answer questions and complete additional research, they can use the included report page to write a short report on the topic. 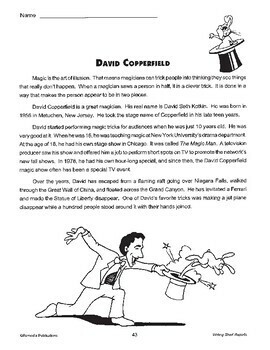 Topics include 9 famous people. Answer key included. 21 pages. Grades 3-5.